The KING collection brings majestic elegance and details in aesthetics and functionality. The KING collection has a span of up to 16′ with a patented de-centralized structure. Operation is with a handle crank that allows for multiple functions including 360° rotation, tilt, and height adjustment of the canopy. The design also allows for non-removable furniture below. The KING is suited for large seating spaces, restaurants, decks, and anywhere that requires expansive adjustable coverage. Iron base 70x70cm (27"x27"), ready for 4 concrete weights (47kg, 103lbs.) ACEM47 Set of 4 concrete weights (Total 160 kg, 352lbs). 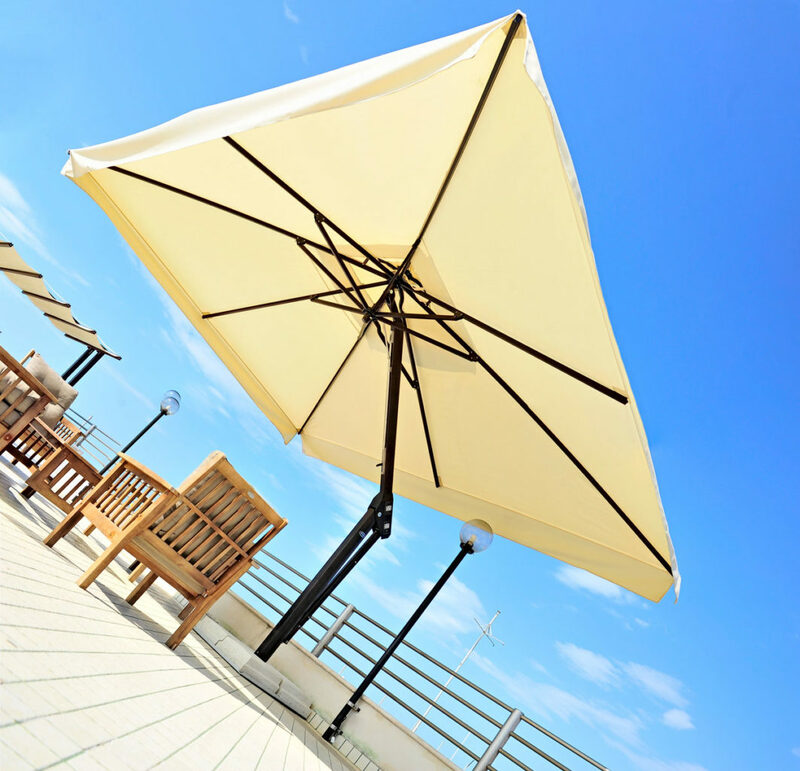 CANOPY Sunbrella® WEIGHT OF STRUCTURE W/ FABRIC Approx. 121 lbs.